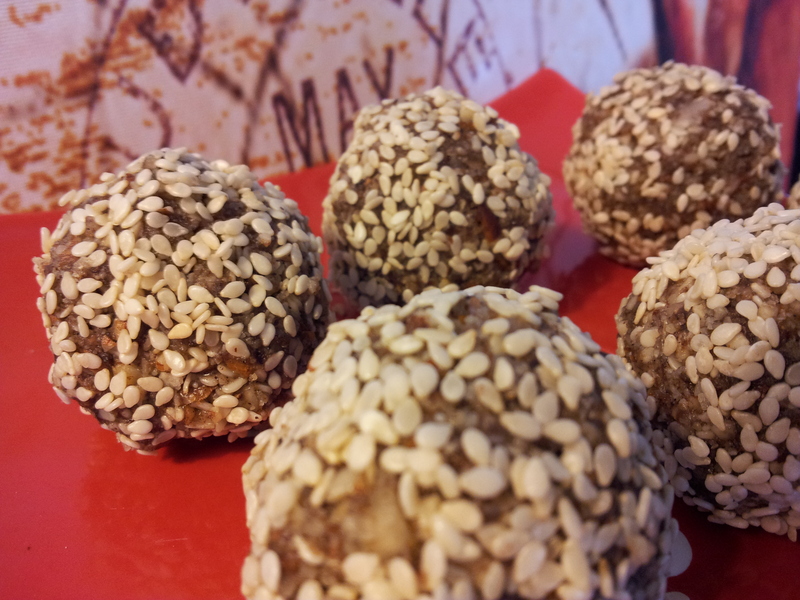 These tasty raw snacks have the most delicious sweet flavour and are packed with goodness. 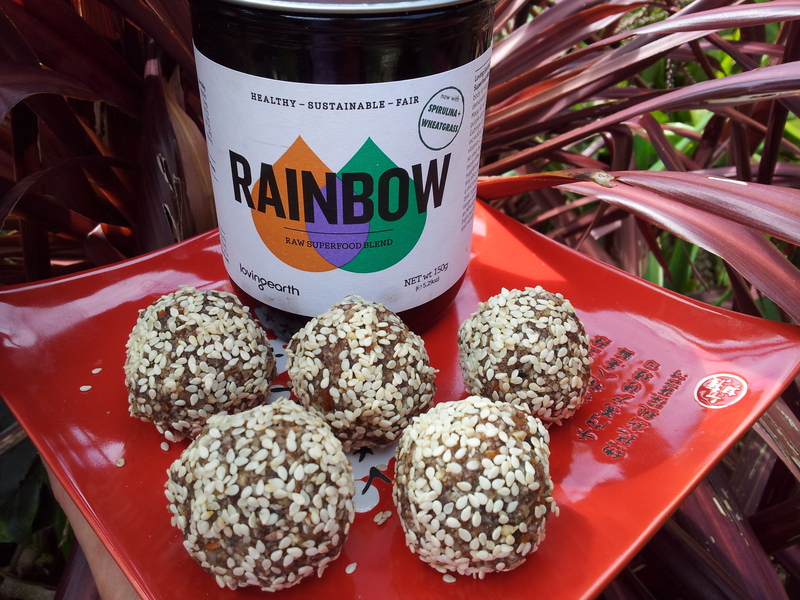 They are Paleo, gluten, dairy and processed sugar free and filled with nutritious ingredients. 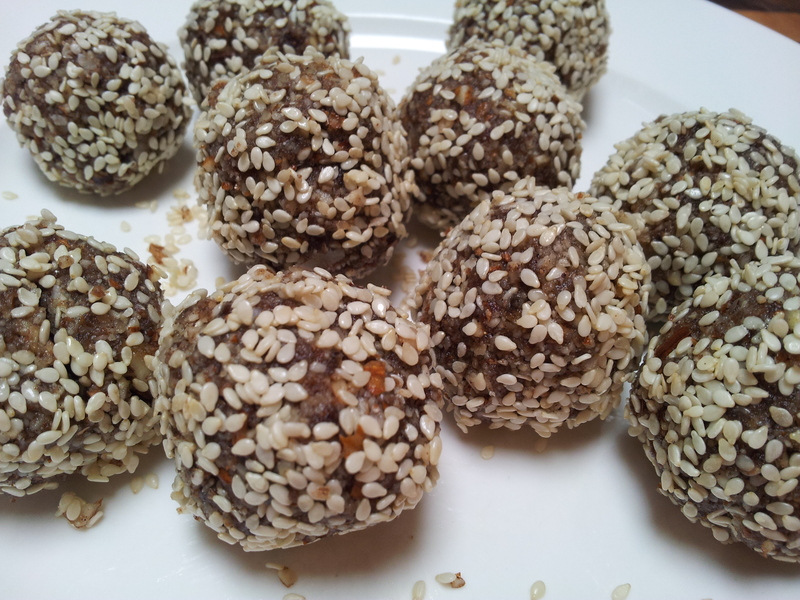 These are the simplest balls to make and taste testing the mixture is part of the fun. You need a food processor to make these as there is quite a lot of blending required. 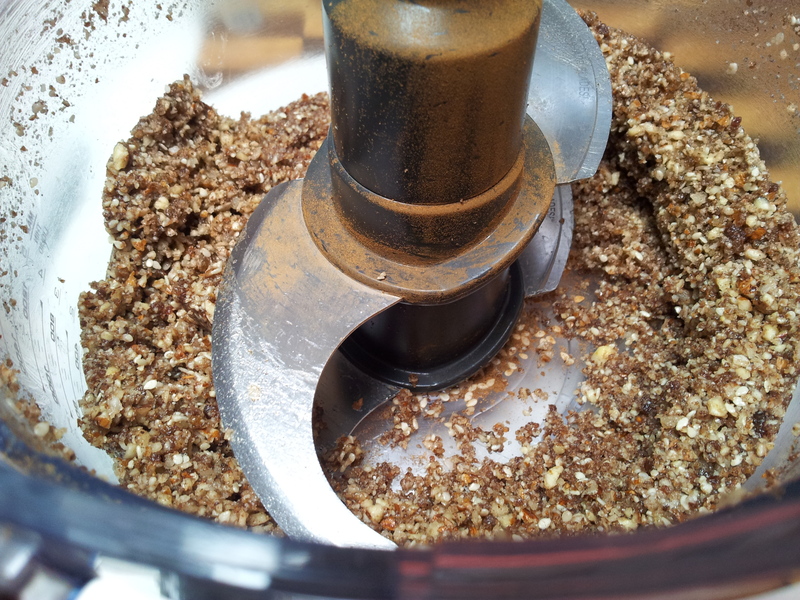 The method is so simple with all ingredients placed into the food processor and blended until an even consistency. 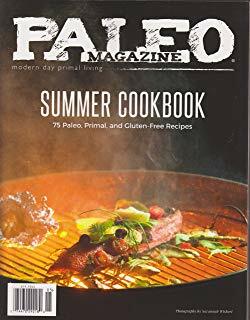 Just minutes to make with a food processor. Ingredients:(everything organic if possible). This recipe makes approximately 12 balls. Use a spoon to scoop a small amount of mixture out of the food processor and using your hands shape into a small ball. 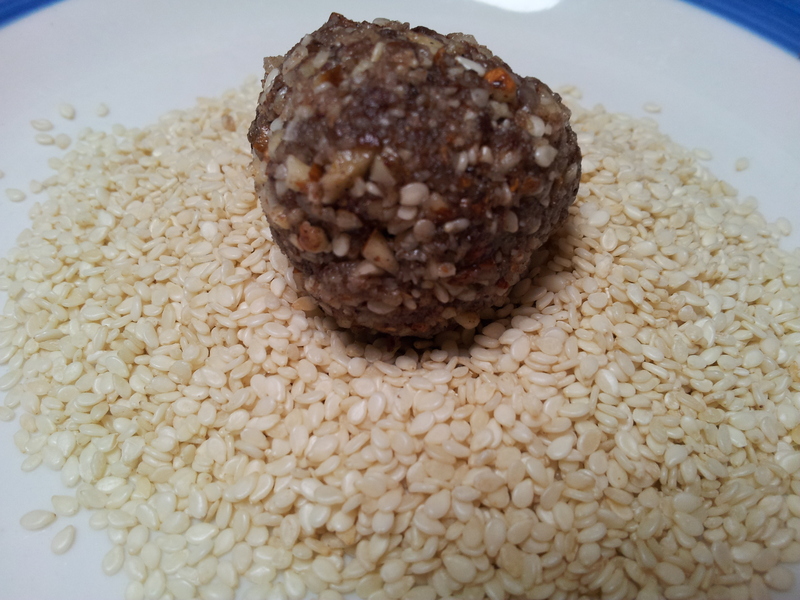 Cover in extra sesame seeds. Ready to be covered in sesame seeds. Looking good at this stage. A taste test here is highly appropriate. Place the finished balls on a plate and place in the fridge for a couple of hours to firm up. As this mix makes a small quantity of balls you could keep them in the fridge for a few days and eat as desired. Alternatively you can freeze them especially if you are doubling the recipe. You can experiment with different types of superfood powders such as spirulina or acai berry or add some raw cacao for a chocolate flavour. The Loving Earth Rainbow SuperFood Blend is in a 150g jar and cost me $45 from the health food shop. The ingredients are raw organic macqui, raw organic acai, wildcrafted gubinge, raw organic camu camu, organic spirulina and organic wheatgrass. I like adding it to raw recipes as heating it too much can impact the nutrient content. For Australian followers, your pantry needs delivered directly to your door.